Kachori is a dish that is a local Rajasthani favourite. 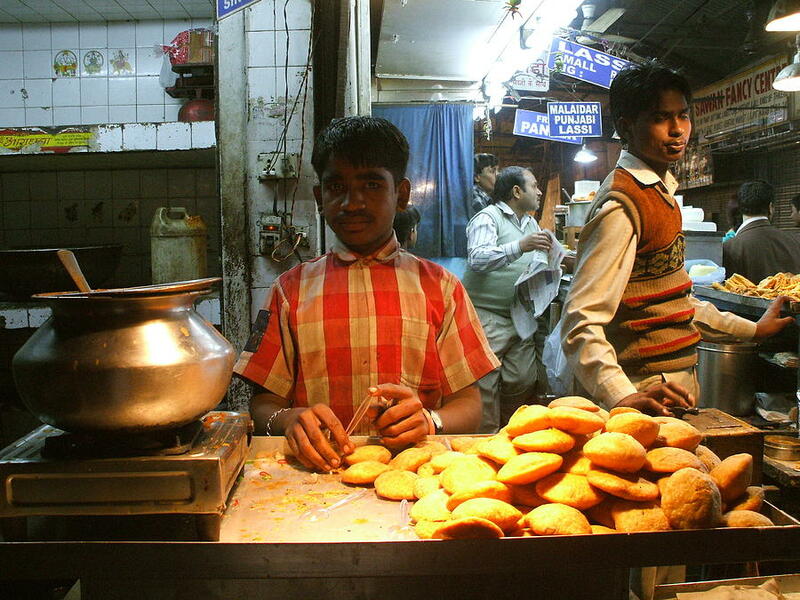 It is no wonder then that the kachori makers it to the top of almost every street food vendor’s menu. Deep fried and served hot, a kachori is best eaten with a sweet or mildly spiced sauce and a hot cup of tea. The samosa is a popular street food delicacy in India. No matter where you go in the country, you’ll find a lot of people gathering around a samosa stall to enjoy this delicious snack and Pushkar is no different. The best part about a samosa, is that it can be eaten for breakfast and as well as a snack. Just like a kachori, a samosa is deep fried but comes with a potato filling. 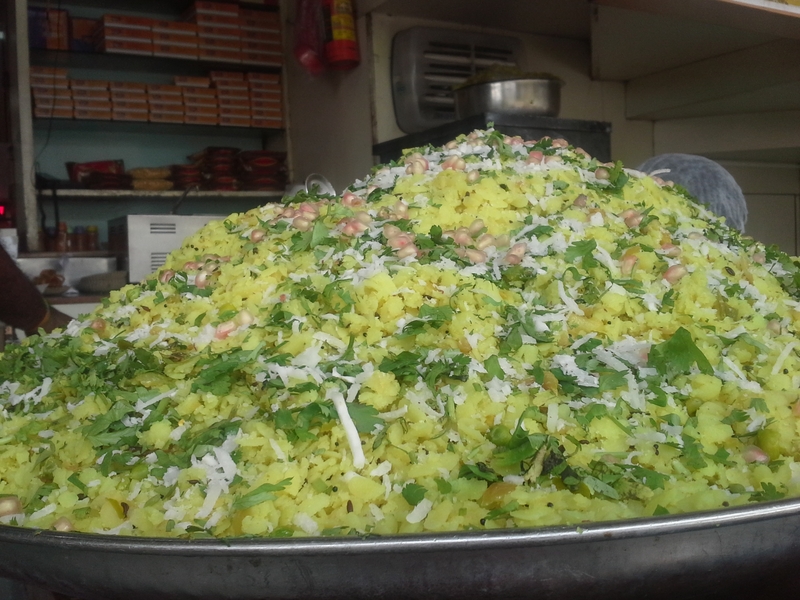 Right from the early hours of the morning, near the main market road in Pushkar, you will find many food stalls serving poha. Made from flat rice and a few vegetables, poha is considered to be a healthy, yet delicious breakfast item. Easy on the wallet and palate, this breakfast dish is a must have if you are in Pushkar. Parathas are usually of two types, plain and stuffed. 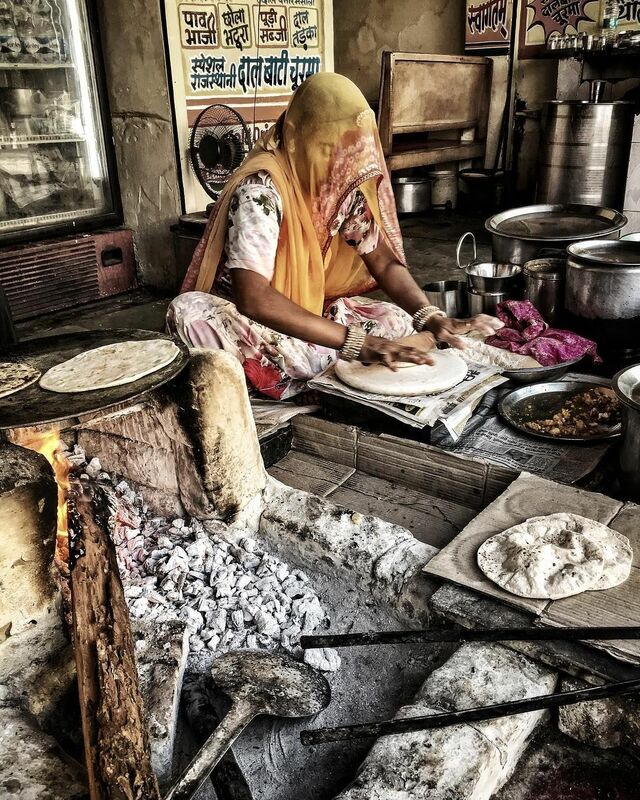 In Pushkar, the popular version of the paratha is the stuffed one. Served with a potato or onion filling, the paratha is often consumed in Pushkar for breakfast or lunch. It is best eaten with a tangy pickle. A Rajasthani favourite, dal bati churma is devoured in Pushkar. Deep fried in ghee and served with dal, this dish is simply mind blowing. Leave the calorie counter behind though, dal bati is high on them, but low on your wallet in Pushkar. Dal bati is best eaten with a sweet dessert that locals call Churma. If you ask a local Pushkar citizen what his or her favourite sweet dish is, the answer will always be Malpua. Rich in taste, this dish is popularly eaten after a meal or as a tea time snack. Best Place to Eat: The Radhey Ji Restaurant near the Varah Ghat is one of the best place to savour malpua in Pushkar. 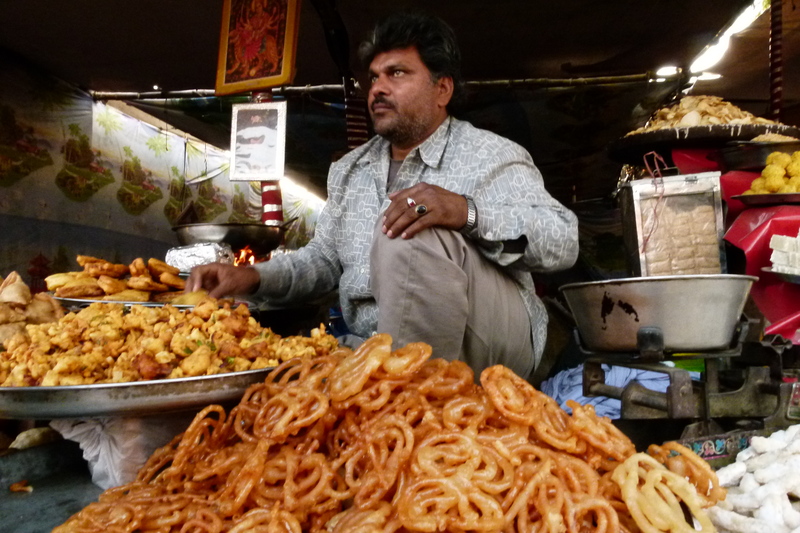 A fan favourite among sweet lovers in Pushkar, Jalebi is a sweet made from ghee and sugar. Best eaten hot, this sweet is a poplar tea time snack or as an after-meal delicacy. Near the main market in Pushkar, there are many food stalls that sell hot jalebis that are soaking in ghee. One thing is for sure with jalebi, you can say bye-bye to maintaining your diet, but it is perfectly okay to gorge on, if you are on a holiday. You might not believe it, but Pushkar offers a good selection of Lebanese food. One of the most popular dishes served at many food stalls in falafel. The best place to grab yourself some falafel is the Ganga restaurant. Although it is only vegetarian, the falafel served at this restaurant is delicious. A sweet drink made using curd, Lassi is popular beverage in India. The drink is available in a variety of flavours, the most popular ones are plain and kesar. 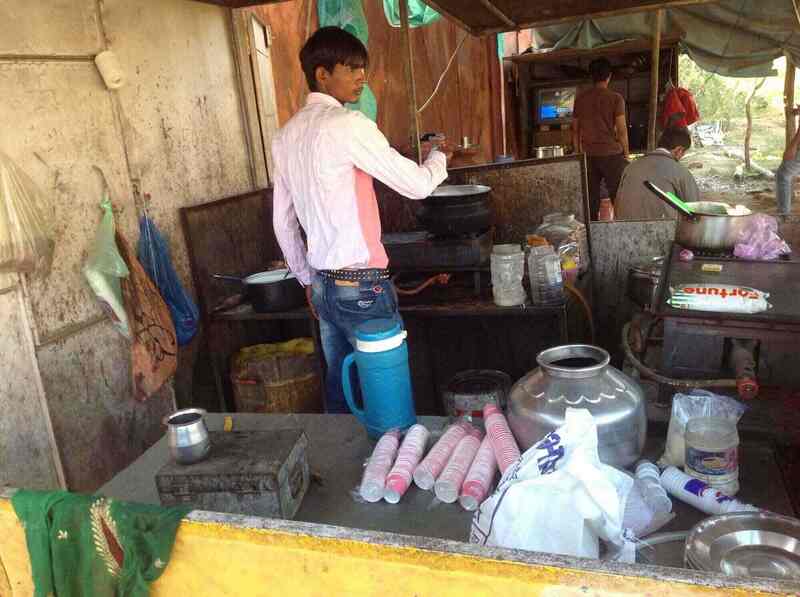 In Pushkar, lassi is served in an earthen glass without any flavour. It is best had cold with cream on top. Street food in Pushkar can be very rich and heavy on the stomach, so it is essential that you have digestives after your meal. Luckily, in the city of Pushkar, there are many stalls that serve churan, a digestive food that is consumed after a meal. Best Place to Eat: The area near the Brahma temple, where you’ll find the largest churan stall. If you thought that only local food was popular in Pushkar, then you are mistaken. You will find plenty of street food stalls and small restaurants serving their own versions of vegetarian pizzas. Although small in size, the pizzas are loaded with cheese and sauce. Best Place to Eat: The Mango Tree Pizzeria in Pushkar does really amazing wood fire pizzas. It is a known fact that Pushkar attracts many foreign tourists all year long. A result of this has been the introduction of European coffee to the city’s street food scene. 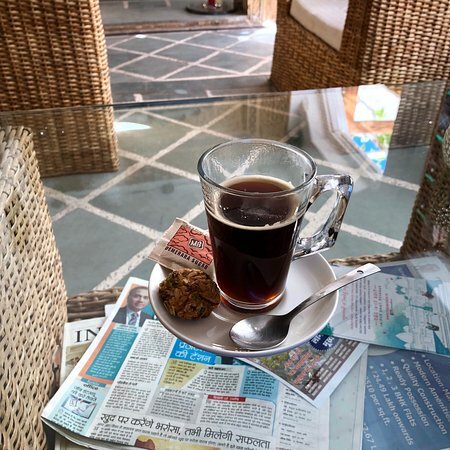 Across the city and most notably near temples, one can find many tea stalls, serving delicious cups of coffee. Best part about the coffee here is that it can be customized, you can ask the vendor to make your coffee with a lot of milk or strong with tons of coffee. The main market road in Pushkar is the most popular places to enjoy street food in Pushkar. On this always crowded street, you will see many food stalls serving a variety of local delicacies that are served fresh. Easy on the wallet and delicious, you have to save a day from your trip here, and visit all the stalls on the Main Market road. It is pretty okay to skip the above mentioned dishes in Pushkar, but what you should not miss out on is the Rajasthani Thali. A complete meal, a thali comes with dal, rotis, a few vegetables. Cooked in a traditional way, the thali at the Karni Maa restaurant in Pushkar is one of the best you can get in the town. This tea stall in the main market square opens at 5 am and closes at 11 pm. A favourite among the taxi drivers in the Main Market Square, this stall serves a refreshing cup of tea. Made using a lot of ginger and less milk, tea at this stall is delicious. While these are the best street foods in Pushkar, there are others that are good, but are not as popular. 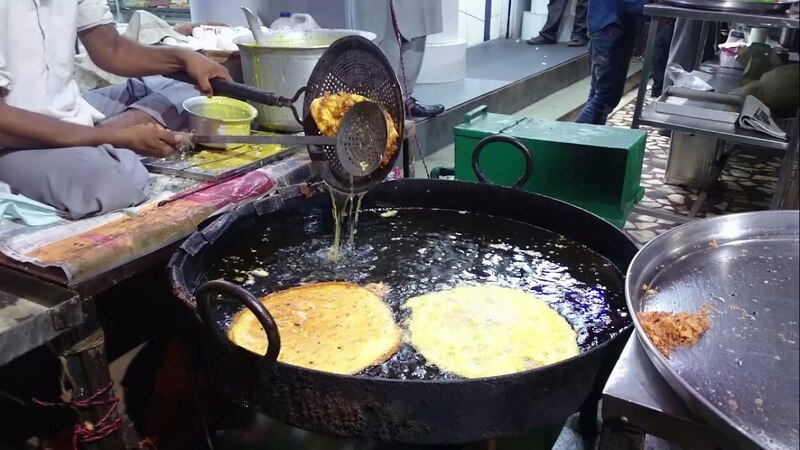 Have you tried these street foods in Pushkar? Did you like it? Let us know about your experience in the comments below. We would love to hear from you.